The International Finance Cooperation, a member of the World Bank Group, announced earlier this week a $60 million investment in a regional risk-sharing facility to support Bank of Africa Group’s lending to small and medium enterprises in eight African countries, facilitating growth and job creation in the region. IFC’s investment will cover as much as 50 percent of the risk on up to $120 million equivalent in loans to local SME’s. Beneficiary countries include Burkina Faso, Ghana, Madagascar, Mali, Niger, Senegal, Tanzania and Togo. IFC specified that half of the money will be granted to women-led micro-businesses as well as climate-related improvements, such as energy efficient equipment upgrades, small solar or biomass systems, and climate-smart agricultural supply chains. SMEs are a prime source of growth, jobs and innovation, but can only succeed when they can access sufficient financing. In sub-Saharan Africa, where roughly 350 million new jobs will be needed in the next 20 years, they account for 30 to 60 percent of GDP, and 67 percent of jobs. The WEOF is a facility dedicated to expanding access to capital for 100,000 women entrepreneurs globally. IFC’s Banking on Women Program has committed 64 investments globally worth $1.71 billion, and advised on 39 projects since its launch in 2010. Of these, the WEOF has supported about $1 billion in commitments to financial institutions in 26 countries. Bank of Africa Group is presently established in 18 countries, 8 of which are in West Africa (Benin, Burkina Faso, Ghana, Ivory Coast, Mali, Niger, Togo and Senegal), 8 in East Africa and the Indian Ocean region (Burundi, Djibouti, Ethiopia, Kenya, Madagascar, Rwanda, Tanzania and Uganda) as well as in the Democratic Republic of Congo and in France. Bank of Africa Group has its majority shareholding held by BMCE Bank, the third bank in Morocco. 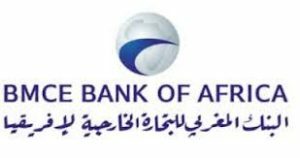 It provides solid strategic and operational support to Bank of Africa Group, as well as direct access to international markets thanks to its presence in Europe, Asia and North America. Established over 35 years ago, BOA Group presently has 6,000 employees and a consolidated balance sheet of €7.7 billion and consolidated net profit of €125.3 million as at December 31st, 2017, with €76 million Group profit. Posted by Hafid El Fassy on June 7, 2018. Filed under Business, Finance, News, Zoom. You can follow any responses to this entry through the RSS 2.0. Both comments and pings are currently closed.